It gives immense pleasure in extending a hearty welcome to you all for choosing Ayurveda & Panchakarma School (one of the leading ayurveda training centres in Kannur, Kerala, India) to fulfill your dreams of becoming one of the professionals in Ayurveda. Ayurveda School provides affordable Ayurveda and Panchakarma Courses(training) in our Ayurveda School (training centre). We teach how to learn Ayurveda traditionally. We offer different ayurvedic training programmes designed and developed by our expert doctors with the view of European students in mind. Ayurveda School strives to educate you all the traditional and modern forms of Ayurveda and Panchakarma, to make you dynamic in this highly competitive world. 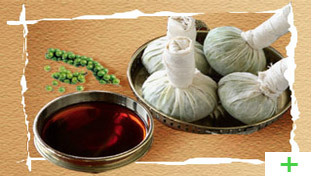 We offer you an opportunity to dedicate yourself as a qualified Ayurvedic Professional. All the courses we provide is very helpful for both beginners and those who have good knowledge on Ayurvedic methods. Our Practical Training will teach you to perform all Ayurvedic massages and the Kerala Traditional Massages (such as Njavarakizhi, Elakizhi, Abhyanga, Dhara treatment and Kalari-Marma massages). This training program will also give you an understanding of the basic principles of Ayurveda, Ayurvedic treatments and Panchakarma therapy. Our Ayurveda Massage Videos are one of the best available in the market to learn the traditional Ayurvedic massages and Panchakarma Therapy for experienced practitioners as well as beginners. Our videos and study materials can teach you the traditional way of Ayurvedic massage and Ayurvedic Treatments. Our video massage training program provides the following teaching methods.